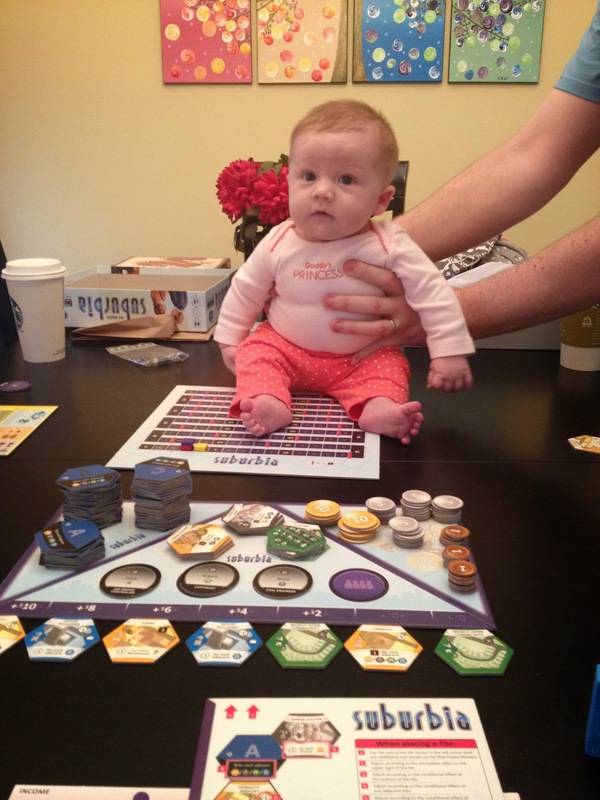 For the holiday weekend, we had a 3 day board game session with Drew. Ian got a ton of games for his birthday. 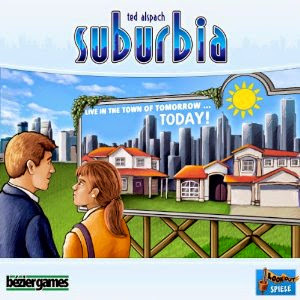 The first one we tried was Suburbia.